Pam Carter DA was born in Tanzania, East Africa. Her Scottish father and Austrian mother came to Glasgow when she was aged thirteen. 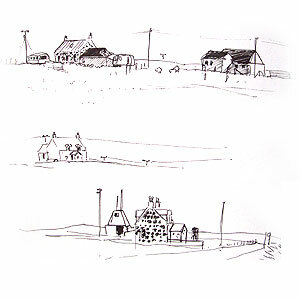 Pam gained a degree at Glasgow School of Art and has lectured for many years in Schools and Colleges including lecturing at Falkirk College. She exhibited throughout this time. In 2003 she became a full time painter. 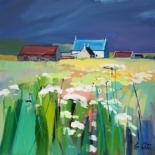 "My main inspiration is in Scottish land and seascape. 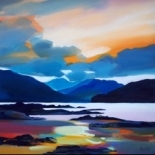 I enjoy using colour to define contours, structure and changing light sequences. I search out specific view points. 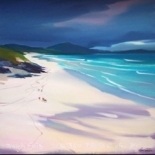 I am equally inspired by the changing light sequences of the Western Isles and the dramatic view points of the Eastern coastline. I work predominantly in oil"..